Mixing Up a Storm of Happy! 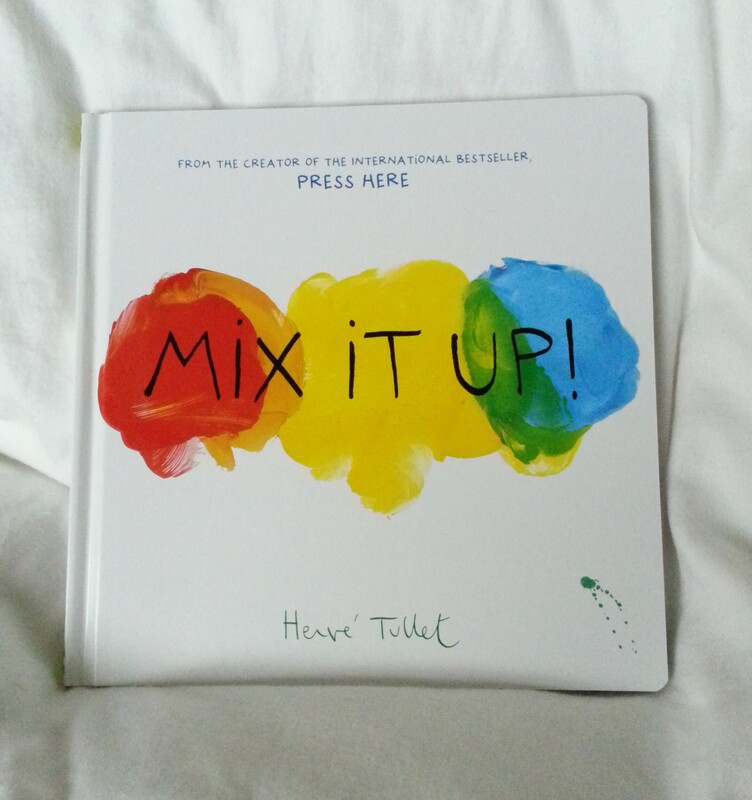 Combining art and humour in educational children’s books is what acclaimed children’s author Hervé Tullet is all about. We fell spot over dot from the moment we picked up Press Here (see my review here). So when I saw he’d done a sequel I knew we had to have it. Thanks to one of my bestest, most generous girlfriends in the world (major point-scoring going on here as you can tell), who sent Mix It Up! in a beautiful care package with lots of other goodies, we do! Are we thrilled or are we thrilled? 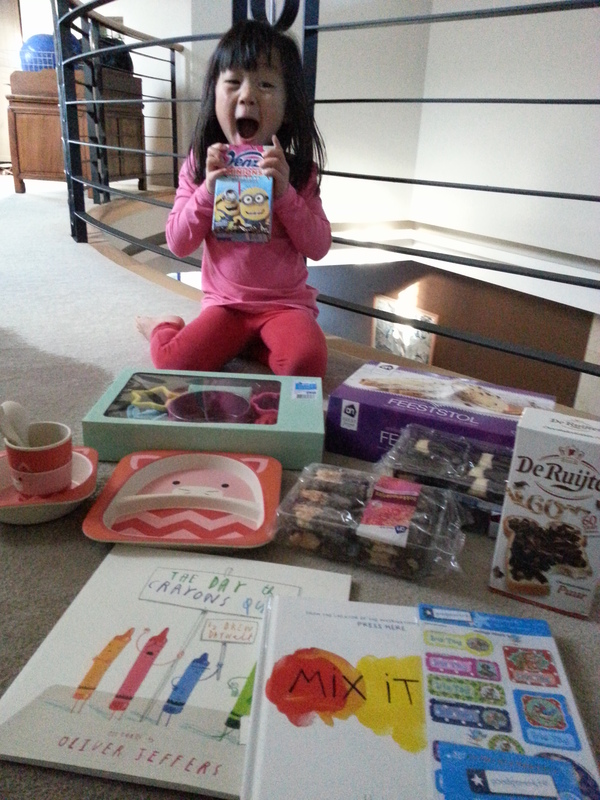 Are we going to binge on Dutch confectionaries? Oh yeah. Similar to Press Here, Mix It Up! 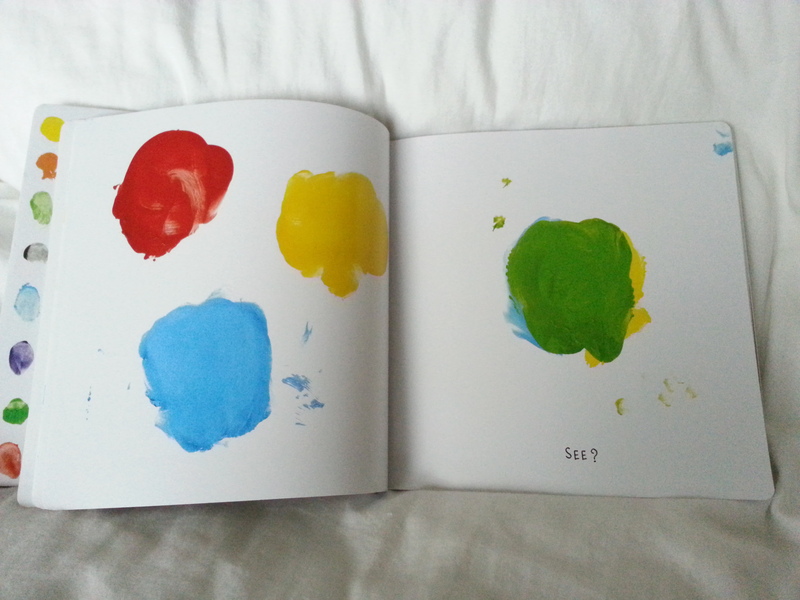 employs colourful paint splotches to teach children about something interactively. This time it’s about colours and how they combine to make other colours. 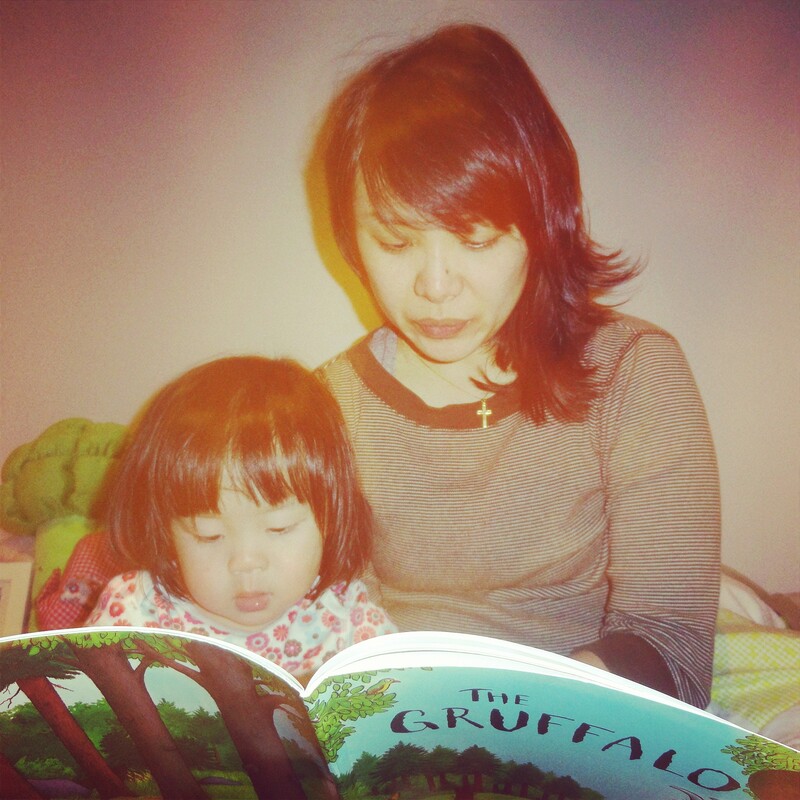 In just a few words a page, Tullet manages to engage the reader and the read to in an entirely enjoyable way. 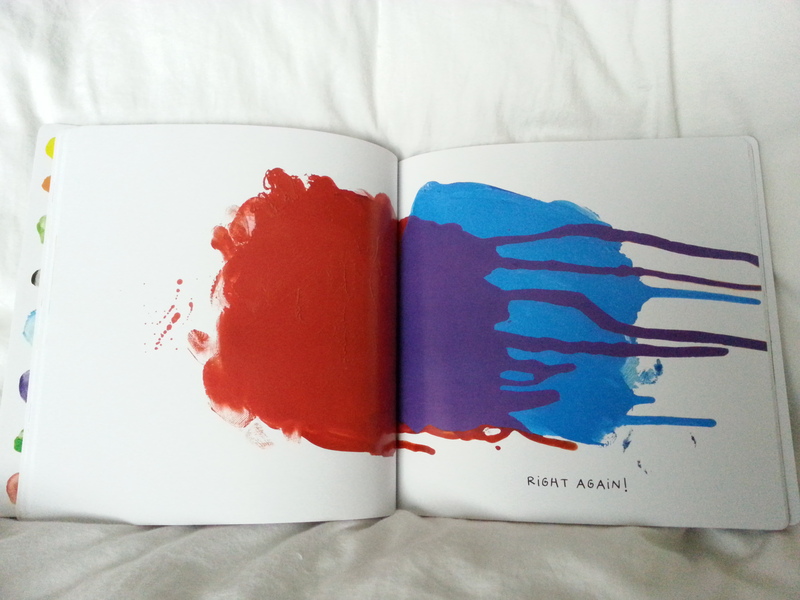 The paint splotches are so vivid you can almost feel the gooey paint. 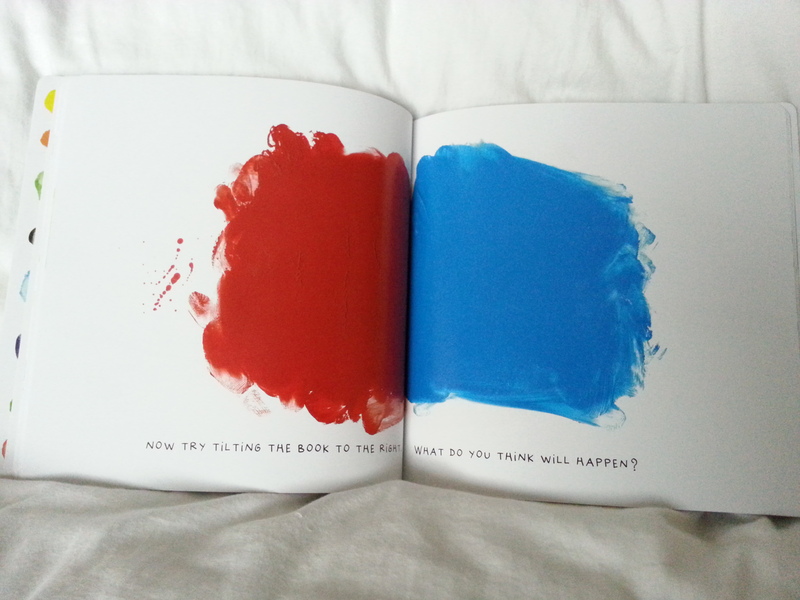 It also gives lots of great ideas for playing with real paint, if you feel so inclined. It’s so successful Iris has been yelling out colour combinations randomly ever since we got it. This may or may not be a plus point for some. Sure it kinda engenders those “I could have done that” comments, but hey, you didn’t did you? 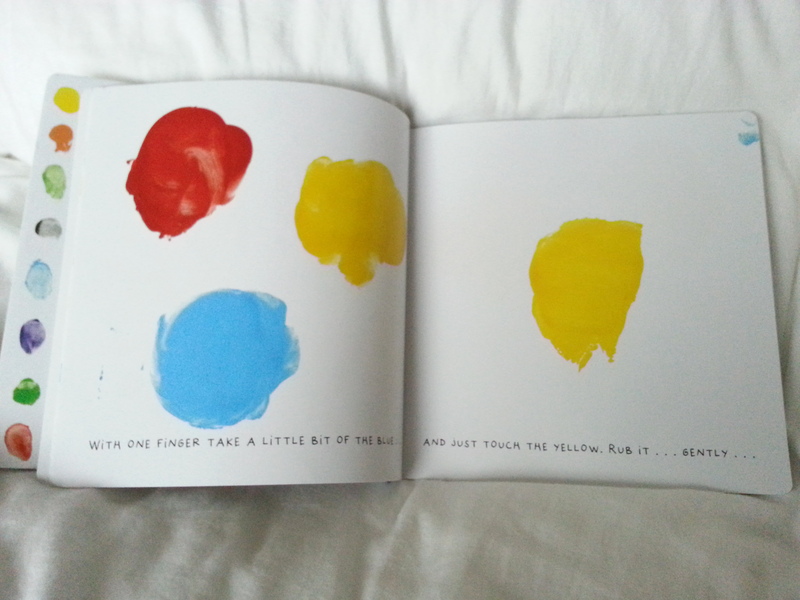 So unless you’re going to go through the process of making a book, zip it and bask in the delicious primary colours while your child shouts out what happens next.